3. Copy the image, either by clicking the menu ‘Edit’ and then ‘Copy’ in your browser, or by pressing Ctrl + C (Windows) / Command + C (Mac) on your keyboard. 4. Paste the image inside the body of the e-mail you want to send to your contacts, either by clicking the menu ‘Edit’ and then ‘Paste’ in your browser, or by pressing Ctrl + V (Windows) / Command + V (Mac) on your keyboard. 5. 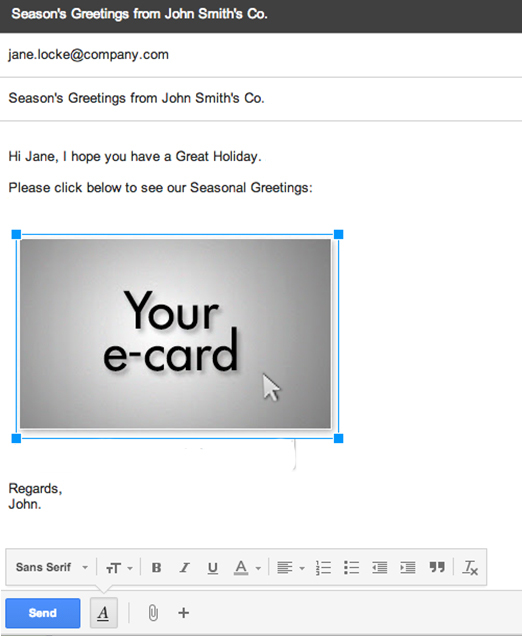 The thumbnail will now be inserted in the e-mail’s body. 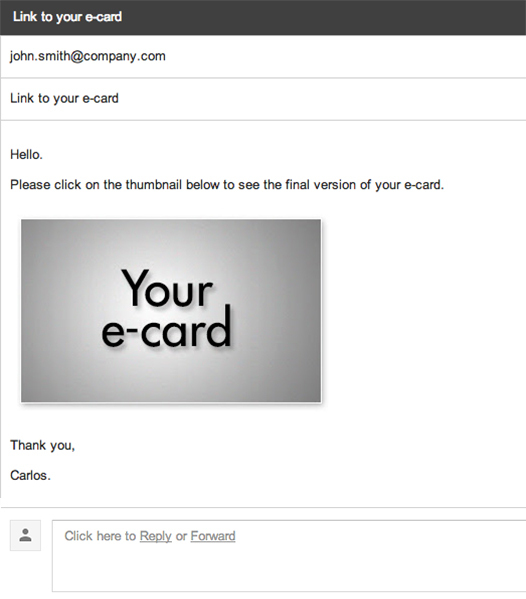 Check to make sure the thumbnail is linked to your e-card by clicking on it: the link should appear beside the image.